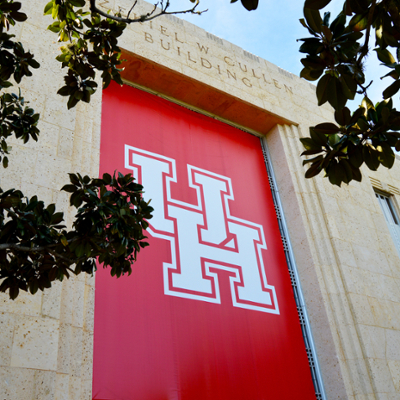 At the University of Houston, we realize the important role financial aid plays in funding your education. In order to have access to this valuable resource in a timely fashion, it is important for you to complete a Free Application for Federal Student Aid (FAFSA) as soon as possible after Oct. 1 (prior to the academic year) to ensure you receive your awards in time to pay tuition and fees. You must complete the FAFSA and submit it by the priority deadline of Jan. 15 (prior to the academic year) to receive the maximum consideration for limited financial aid resources. The University of Houston’s Federal School Code is 003652. Since we know the financial aid process can be confusing, staff in the Office of Scholarships and Financial Aid are here to help. Our financial aid advisors are available to answer your questions on a walk-in basis in the Welcome Center or by phone at 713-743-1010, option 5. 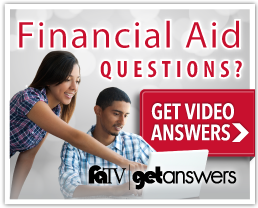 If you do not find the answers to all of your questions on this page, please visit the Scholarships and Financial Aid FAQs page. APPLY EARLY - The FAFSA is released Oct. 1, prior to the start of each academic year. UTILIZE IRS DATA RETRIEVAL (DRT) – The IRS Data Retrieval Tool (IRS DRT) electronically imports your federal tax return information into your FAFSA application. Using the IRS DRT will ensure we have the most complete and accurate tax information. Make sure to have you and/or your parent’s tax return for the “prior-prior” year with you when you are filling out the FAFSA. For example, on the 2018-2019 FAFSA, you (and your parents, as appropriate) must report your 2016 income information, rather than your 2017 income information. If you are completing the 2019-2020 FAFSA, you will need to have your 2017 tax return information handy. PROVIDE CONSISTENT INFORMATION - A computer process scans your FAFSA and income information to ensure all information in all fields matches. Please take great consideration in providing consistent information to avoid being flagged for verification. Have a high school diploma or a General Education Development (GED) Certificate, or have completed homeschooling. Be a citizen, or an eligible non-citizen of the United States. Not have a conviction for the possession or sale of illegal drugs for an offense that occurred while you were receiving federal student aid (such as grants, work-study, or loans). Once you have determined that you are eligible, you are ready to begin the six steps to financial aid. The FSA ID, which consists of a user-created username and password, replaced the PIN effective May 2015. It allows users to electronically access personal information on Federal Student Aid Web sites as well as electronically sign a FAFSA. Parents of dependent students must obtain a FSA ID as well, so that they too can sign the FAFSA online. If you are a continuing student, you may use your FSA ID to access your FAFSA Renewal on the website. Visit https://fsaid.ed.gov/ to create your FSA ID. To apply for financial aid, you MUST complete a FAFSA at www.fafsa.ed.gov. You should complete the application as early as possible after Oct. 1. You must complete the FAFSA and submit it by the priority deadline of Jan. 15 to receive the maximum consideration for limited financial aid resources. The University of Houston’s Federal School Code is 003652. You will be notified by the Department of Education via email within 3-5 days that your Student Aid Report (SAR) is ready for review and has been forwarded to the school of your choice. If your SAR has errors, correct them online using your FSA ID. While processing your FAFSA, additional application requirements may be requested to complete your file in a process called verification. You will be notified via email if your file is incomplete, but it is also recommended that you monitor your status online at myUH self-service account. The priority deadline to submit all documents is April 1. In order to be eligible for federal funding, you MUST be a fully admitted degree-seeking student. Check your status online at myUH self-service account. We will notify you via email when you have been awarded financial aid. Accept or decline your financial aid award(s) at myUH self-service account. University of Houston strives to make the Financial Aid process as straightforward as possible, but some students have unique situations that they need help with. Browse this list of links to learn more about the financial aid application process.